None of our family are golfers but we do spend many hours often until very late at night watching the USA PGA golf on television. 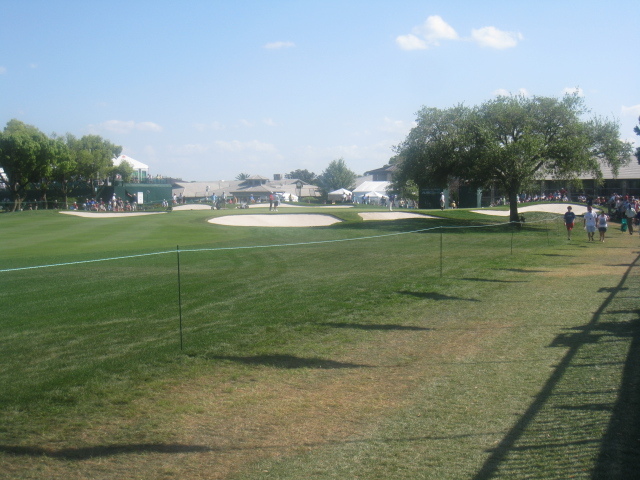 So we were delighted this year when whilst staying at our villa in March one of our American friends got us tickets to the Arnold Palmer event at the Bay Hill golf course. The Arnold Palmer event is run in aid of his late wife’s hospital charity and is staffed with military precision with 1200 volunteers some even living outside Florida who come back specifically to help at the event. 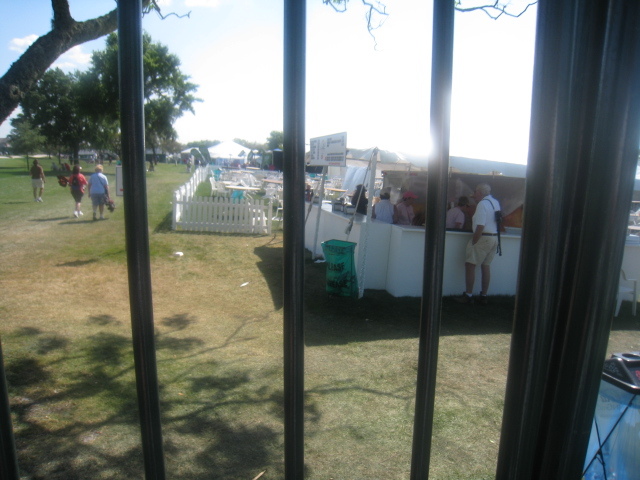 Our tickets were for the first day and we opted to go about noon as we there were many top golfers in the later sessions. Amongst these was Tiger Woods who had won this event many times before and was returning to Bay Hill after his absence the previous year. We were luck to have a beautifully sunny day and the whole atmosphere including the volunteers and other visitors were very welcoming. It is always advisable to wear shoes you can walk around in all day and most people wear trainers. However I did notice amongst the younger girls/ladies a tendency to wear flat sandals. 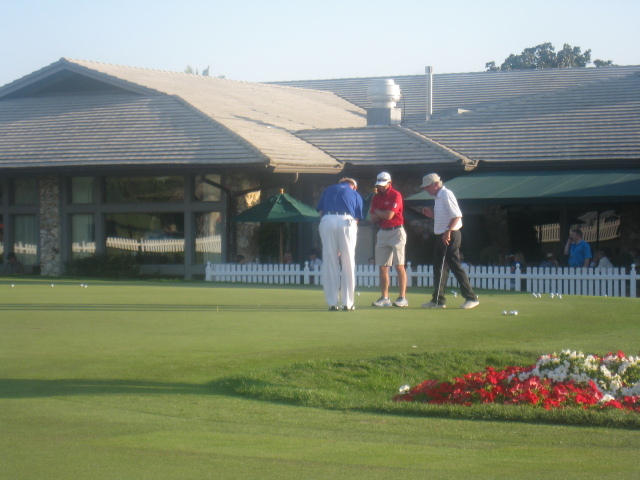 We went first to the practice green where players practice for about an hour before their tee time. 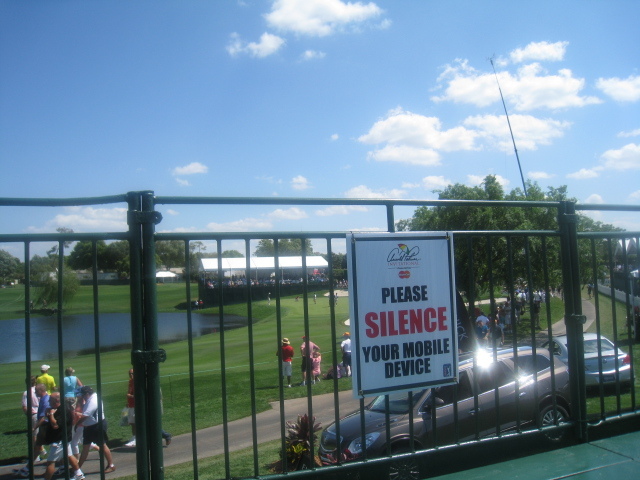 This is a good place to people watch as often along with the players you see the wives and girlfriends. As tee times approach the staff cordon off a walk way to allow the players to proceed from the practice ground to the tee where they are officially announced before they teed off. We stood for about an hour here to see the players and watch them start their game. 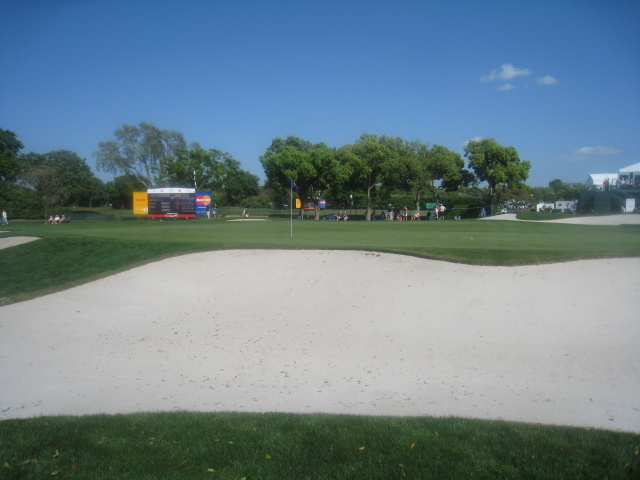 We did not want to follow any particular group (Tiger Woods always attracts a lot of followers) so walked around the course and at hole 8 there was plenty of room in the stand and here we spent quite a considerable time watching several groups of golfers play this hole. 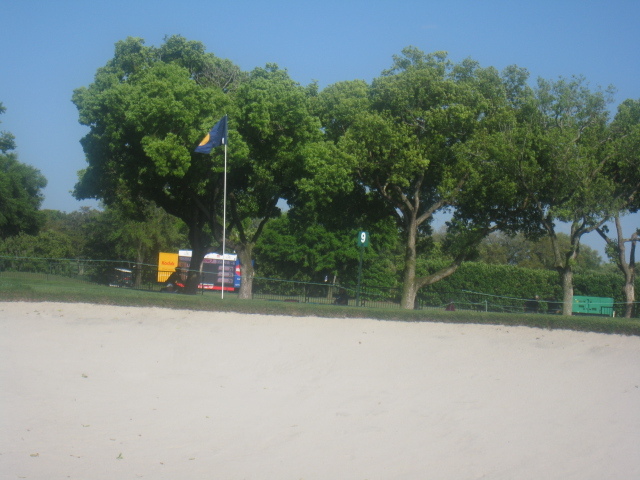 We then proceeded towards the 18th hole as this was where we were to spend the rest of our time. On the way we found a refreshment tent where we bought some cold beer and sat on their decked area to enjoy it. Finishing our beers we visited the various stalls and collected several freebies including golf balls and tees for our neighbour before arriving at the 18th hole. There was a great atmosphere here although it was quite crowded. As we left the hole we came across the walkway where the golfers excited and my Father was delighted to get Sergio Garcia’s autograph on his hat! We had a great day were there about 7 hours and finished our day with a lovely Turkish meal at Dr Phillips. Viewed 3444 times since 7 October 2011.